Perhaps it is a controversial thought. But. I currently find myself at the crossroads of my professional life, and that’s when it occurred to me. From an extremely pragmatic point of view, really, there is absolutely nothing you truly HAVE to do. Nothing! Really, you don’t have to be nice to people, either. You don’t have to pay your taxes. You don’t even HAVE to go to work today. You don’t! And lastly, believe it or not, you don’t HAVE to breathe, either. You can also choose not to breathe. Scientist estimate that we make thousands of decisions (I have seen numbers as high as 35,000) every day, whether conscious or unconscious. 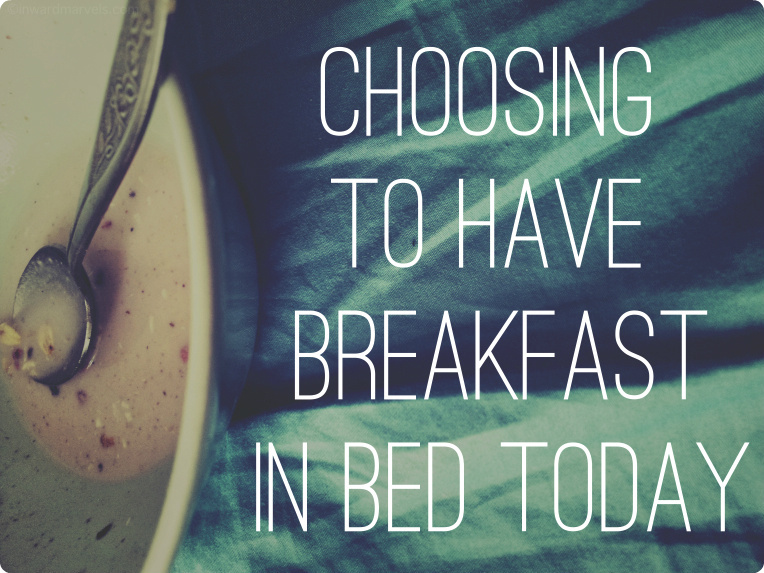 It all starts with whether you are getting up or hitting that snooze button. This decision alone may be repeated multiple times before you in fact decide to finally get a move on. Your decision-making continues with whether you should immediately sink your feet into your furry slippers or not. How (or whether at all) you say good morning to your room mate or partner or child. Whether you give them a hug or not. What you will and will not have for breakfast. Which body lotion you are using today. What tone you use to remind your child of things. It also includes the decision of when you check your cell phone for messages for the first time this morning, and how many times you will be checking your phone throughout the rest of the day (fifty times? A hundred? I should count one day). What sorts of news feeds you choose to inform you of everything that is happening around the globe. Granted, alternatives are sometimes sparse and the consequences radical. Don’t pay your taxes and pretty soon you’ll have a problem. Don’t be nice to your spouse and, assuming they possess a sense of self-respect, you will feel the stare of death. Don’t go to work and you’ll soon be told not to come back at all. Stop breathing and well, you get the picture. But make no mistake: you do make this choice, every single day of your life. Even if you feel like it simply happens. You are making choices seamlessly, every second of every day of your life. You are actively choosing to spend this minute of your life reading this when you could as well be working. Or doing the dishes. Or stealing a car. Or having a sniff of crystal meth. What I actually want to point out to you is that we are not powerless; on the contrary, we have immense power. With just one decision, we can change our entire lives — for better or for worse. Are you aware of this? You choose to breathe today. You could choose not to breathe. Assuming that you possess a reasonable degree of social mobility, you also choose to wake up in this city or town or village today, and not in a different one. You choose not to randomly fire a gun today, although you very well could. And what’s more is you (probably) choose to pay those taxes. You choose to be nice to your co-workers. You choose to include some greens in your diet and call your mother once a week. You recycle a bit here and there. You choose to brush your teeth daily and have a glass of red wine every once in a while. All in all, you are probably choosing to live a very decent life. You are investing your power into staying on track and living a solid, okay existence. You are trying to be supportive of others, you are making an effort not to be too much of a burden, you often choose kindness. Ultimately, this is not another blog post to make you feel like you should do so many things differently because you are not living up to your potential. Although, let’s be honest: you probably aren’t, because most of us aren’t, but then again, what does that even mean. So, yes, you could do more. Much, much more. Of everything! Because until proven otherwise we have reason to assume that we might live only once, so we might as well make it worthwhile. But you don’t have to do it all. You can choose. The important thing is to understand that we CAN decide to do things differently today. Maybe just one thing. There’s oceans of bucket lists out there so no need to even have your own, if we decide that making one is too much work today (sign up for an online language course or a dance class, stand in the waiting line to climb the summit of Mount Everest, learn how to surf, make a million dollars, invent a new way to fold origami swans, that sort of thing). But I’m not even talking about the big things. I’m talking maybe approach an annoying matter with humor instead of the usual anger. Maybe we decide to disengage from whatever we are doing feverishly and just breathe for three minutes. The world will seem different afterwards. Friendlier. Life will seem different. Which in turn will influence further decisions we are making. And pretty soon, what might have started out as a grumpy day may have turned into a little jewel of memories. That’s the kind of decisions I am talking about. They may seem tiny and insignificant, but they are responsible for the tone of color with which our days and lives will gradually be infused. Ultimately, a day well-lived isn’t determined by how many items you have crossed off that fashionable bucket list of yours. It is about whether you have chosen to experience kindness — towards others, but also towards yourself. It is about whether you have decided to, if circumstances permit, follow what your heart says is the right path. But as I said. You don’t have to do anything. Whatever you do today. Everything you do or don’t do today. It is truly ALL up to you. PS: Speaking of choices, this blog has existed since September last year and I am unbelievably happy to (choose to) celebrate that 100 people out there have generously decided to follow Marvelline Marvels. It has been a huge pleasure so far and I am immensely grateful for all the comments, likes, thoughts, and suggestions. THANK YOU for expanding my horizon! The quote simply supplements. Your writing is phenomenal and a lesson in life. Ha, thank you! You are a phenomenal complement giver <3 and probably single-handedly responsible for the building of my self-esteem haha. Thank you! I think this was a good description o personal freedom, and giving yourself creative space to be more productive. Your writing followed from itself fluidly. Thank you :) that means a lot to a new blogger like me.